A fascinating documentary tribute to an unsung hero of 1960s pop music. In recent years, several documentaries have explored the mythical world of popular music in the 1960s, including Morgan Neville's Twenty Feet From Stardom (about backup singers) and Denny Tedesco's The Wrecking Crew (about session musicians). Now comes Bang: The Bert Berns Story, which is a bio-doc about Bert Berns, a composer and producer. All three films share a common desire to shine a celebratory spotlight on extremely talented people who have never fully received their due. Bang shares another thing in common with The Wrecking Crew: both were made by the offspring of the people who are profiled. Brett Berns, son of Bert Berns, codirected Bang with Bob Sarles, and that's reflected in the amazing array of interview subjects. Bang, narrated by musician and actor Steven Van Zandt, has a more narrow focus than the other two films, and in the early going it feels somewhat pedestrian, as Berns' early years were, to be frank, not terribly interesting. Yet that also allows for a marked contrast as his musical talents bloom. It's almost as though he willed himself to be creative so he could escape his ordinary background. Growing up in the Bronx, Berns had proximity in his favor. He was exposed to a wide variety of music in his youth and made his way to Cuba before Fidel Castro's revolution. Of course, Manhattan was nearby, which meant that music publishers aplenty were available to reject him. Eventually, though, one recognized his potential and he began working as a songwriter in 1961. His first hit came in the following year, and he was soon off and running. Among his earliest hits, the most famous is probably "Twist and Shout," which he cowrote. Soon learning the power of record producers, and realizing his own limitations as a singer, Berns became a producer as well for a variety of labels. That led to further opportunities with the famed Atlantic Records. By the time Berns came along, the label was in need of hits, and Berns delivered. His titles included Solomon Burke's "Everybody Needs Somebody to Love" and the Drifters' "Under the Boardwalk," which he produced, though he did not share in the writing of the latter. The records he made influenced young British bands like the Beatles, who recorded their own version of "Twist and Shout," and the Rolling Stones ("Everybody Needs Somebody To Love"). As Berns' career skyrocketed, his reputation appears to have remained stellar. Granted, this is a documentary codirected by his son, but the musicians included in the film (including Solomon Burke, Cissy Huston, and Ben E. King) all speak warmly about their working relationships. It seems that Berns preferred encouraging his recording artists rather than demeaning them or shouting at them, and that helped produce a great string of exceptional records. The documentary is filled with great stories. Berns befriended a good variety of people in his lifetime, and his more criminally minded friends proved to be extremely helpful when it came to certain business dealings -- all of which is remembered in an amusing tone. As a child, Berns began suffering from a heart condition, which would plague him periodically through the years and eventually cut his life short. It's rather amazing to consider how much he accomplished in a musical career that lasted less than a decade and how deeply the music he wrote and/or produced continues to resonate. Berns was inducted into the Rock and Roll Hall of Fame last year. 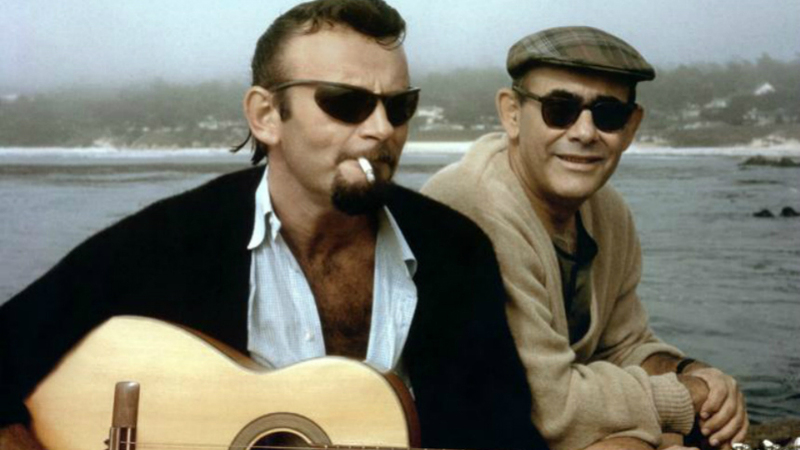 Bang: The Bert Berns Story is a fitting and often exhilarating tribute. Review originally published in slightly different form during SXSW in March 2016. It will open in select theaters in the U.S. on Wednesday, April 26. Check local listings for theaters and showtimes.